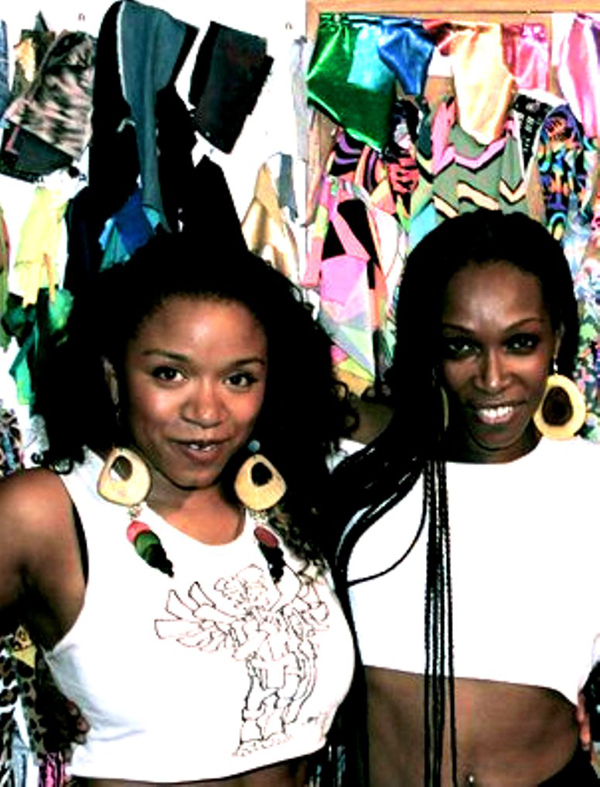 Since I am doing a Caribbean focus, here is my interview with Tiffany Rhodes, designer of Butch Diva, whose first major patron model for her fashion line (and one of my favorite artists, too) was dancehall queen, Patra. 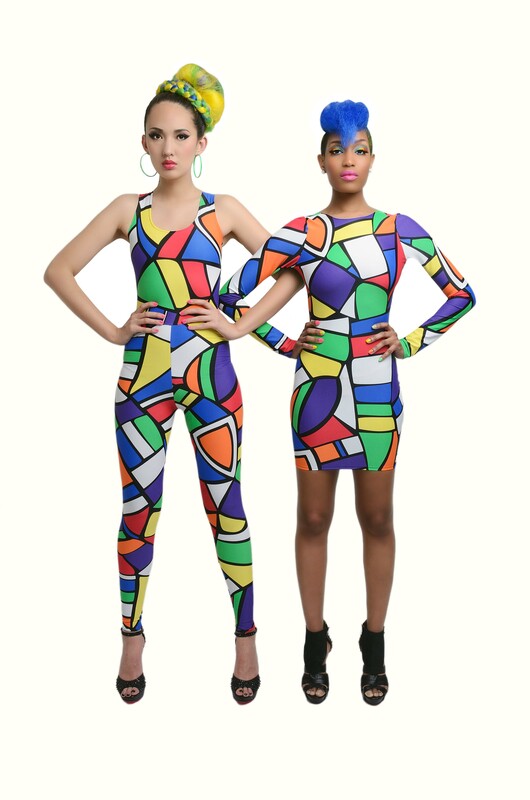 Rhodes’ designs are vibrant and colorful, and look as much fun to be in as it is to look at them. They look like extensions of skin making whoever is in them moving artwork or like Diana turning into Wonder Woman. Take a look at her interview as well as the photos and promo video for her upcoming lookbook. Enjoy! 1) Growing up in Brooklyn, how did fashion in Brooklyn inspire your clothing line? What other experiences influenced your fashion? I think growing up in Brooklyn influenced my fashion sense because the rawness of it. I was always kind of attracted to the real, raw, DIY sense of style—standing out in a crowd. This came from people in the streets. Trends start in the streets and work themselves up, even in high fashion when you see trends go from street to the runway. I was also influenced by TV, film, music–90s music, and the 80s and 90s in general. I was drawn to films where the female roles were sassy and bold, and empowering. Basically, growing up in that whole era and the fashion trends that came with it. 2) Why did you choose spandex as an important fabric in your fashion? I was drawn to working with spandex ever since high school. It’s flexible, comfortable, and makes women feel like super heroines. 3) You also use the phrase “spandex and chaos” to describe your line. The story behind it is that a peer designer had dismissed it as “spandex and chaos.” At first I was offended because I didn’t want my work to be categorized in a box. But then, I embraced it because it really did embody what I was doing at that time in terms of specializing in spandex and using bold and colorful prints. Because I think that realistically that’s what today’s female is composed of. Also, what society considers as masculine tendencies, such as being in charge or having particular roles of power are things you see women doing more of these days. I wanted to represent the change in times by expressing the modern day female. Some of the notable celebrities spotted in BUTCH DIVA have been Nicki Minaj, Kat Graham, Lil’ Kim, Elle Varner, K. Michelle, Kelis, Amy Winehouse, Nina Sky, Mya, and Jonte’. I don’t have favorites, but my most memorable celebrity to dress was Patra because I idolized her as a child, so to dress her was a dream-come-true. Most of the celebrities were introduced to the brand through their stylists, and the stylists through word-of-mouth. 6) This blog is dedicated to afrofuturism and afrosurrrealism, which include aspects of African Diasporic culture, science fiction, fantasy, the alien, dreamworlds, myth, etc. How does your fashion embody some of those themes? BUTCH DIVA definitely embodies a sense of fantasy, in which when you step in a BUTCH DIVA garment you basically turn up. Turned up in terms of self-esteem and alter ego. I think it’s safe to say that a BUTCH DIVA is a stylized superhero. 7) What is the main message you want to send as to why your clothing line is important for women? It’s definitely about boosting confidence and there is something about when women feel and know that they look good. Their whole attitude changes and makes them feel like they’re on top of the world, having no boundaries. Therefore, it’s important to have a clothing line such as BUTCH DIVA that enhances a woman’s sense of empowerment as she takes on the world. 8 ) What inspired the fashion for your upcoming lookbook? 9) What are some of your future plans? I want to open a flagship boutique and to expand on the brand’s category of offerings. BUTCH DIVA will always cater to custom options because that’s what keeps us fresh.